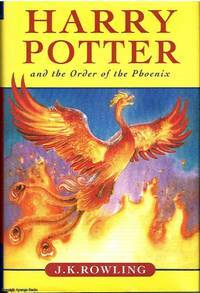 HARRY POTTER & THE ORDER OF THE PHEONIX. 2003 Bloomsbury. Hardcover. B0011V1LIW Missing dust jacket. Has some writing/highlighting. Meets the acceptable condition guidelines. Has wear. Five star seller - Buy with confidence! . Fair.